Karen Matusic grew up in Jefferson County before the oil and gas industry’s impact was even a thought there. Matusic stayed local for college, attending Bethany College in West Virginia and was a communication major with an emphasis in journalism. Right out of school she took her first job as a journalist in Caracas, Venezuela, where she began working as a foreign correspondent for a local newspaper. This would lead her to her next position as a journalist for Reuters News Agency where she wrote in English and in Spanish. In the late 1980s she started covering the oil and gas industry, at the time Venezuela’s involvement with OPEC was a hot topic. Matusic has dual citizenship in Britain and the United States since she was born in London to a British mother. After four years in Venezuela (and loving every minute of it) she went to London to work for Dow Jones in the early 1990s to cover energy, eventually running its global energy service. After three years at Dow Jones she was poached by Reuters to go back and run its energy service, covering OPEC there up until the mid 2000s. Her return to Reuters started in London but took her to the Middle East, based in Dubai where she was the first woman Bureau Chief for the Gulf Countries covering Saudi Arabia, Iran, Iraq, Bahrain, Kuwait, Qatar, Oman, and Yemen. The reporting expanded from OPEC, to covering wars, and the Saudi royal family. After moving back to London, Matusic was in charge of UK general news which covered the war on terror during the time of September 11 and the spread of Islamic extremism in Europe. Matusic described that every job she had, whether it was in general news, always led her back to energy and politics. She took a new opportunity to move to Washington D.C. to work for Energy Intelligence, and she was reporting for the publication Petroleum Intelligence Weekly where she specialized in Middle East and Iraq war coverage. In 2006 the American Petroleum Institute (API) offered her a job to run its media department. Matusic cited the transitional struggles many journalism professionals face transitioning to public relations, but that she was eager to take on this role and new faucet of communications. An active member of API, ExxonMobil offered Matusic a position to do corporate media relations in 2010 from its Dallas headquarters. The job focused on executive corporate media relations for then-CEO Rex Tillerson and Exxon’s senior management committee. The acquisition of XTO Energy in 2010 would make ExxonMobil the largest producer of natural gas in the United States. When XTO opened an office in Pittsburgh, Matusic mustered perhaps her best lobbying performance to convince her boss in Dallas to allow her to move back home to set up public and government affairs in the region in 2011. 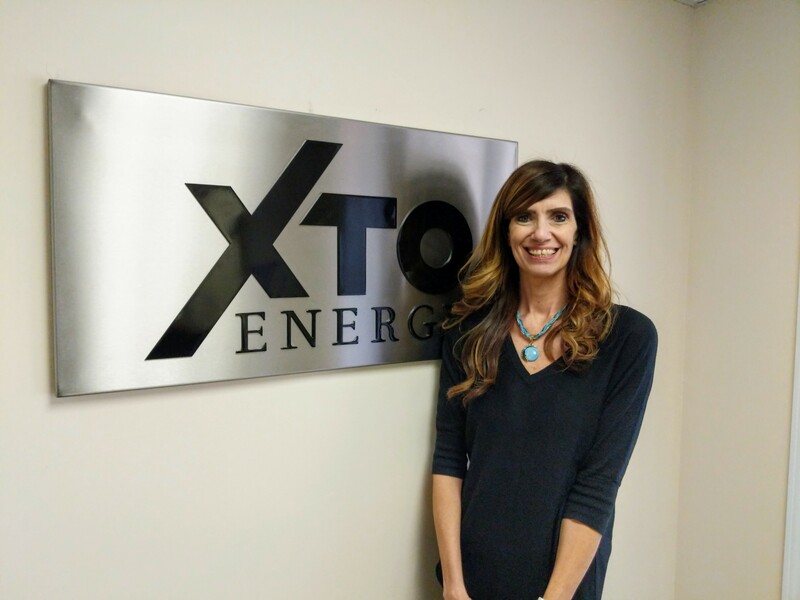 XTO Energy started out of Cross Timbers with a small group of oil and gas employees that formed the company. They expanded to eventually become the largest gas producer in the country, at which point an acquisition by ExxonMobil became of interest. Specializing in unconventional production, the company had the technology and know-how to cost effectively produce oil and gas that was difficult to access. As the merger matured, XTO unconventional resource experts are overseeing a key cog in Exxon’s upstream portfolio shales and are currently operating in most shale plays across the country and others worldwide. After serving as an Exxon lobbyist in Washington DC, where she worked on lifting the U.S. crude export ban, and then returning to Texas where she helped establish Exxon’s public affairs operations in the thriving Delaware Basin division, Matusic has returned back to the job she has most loved. 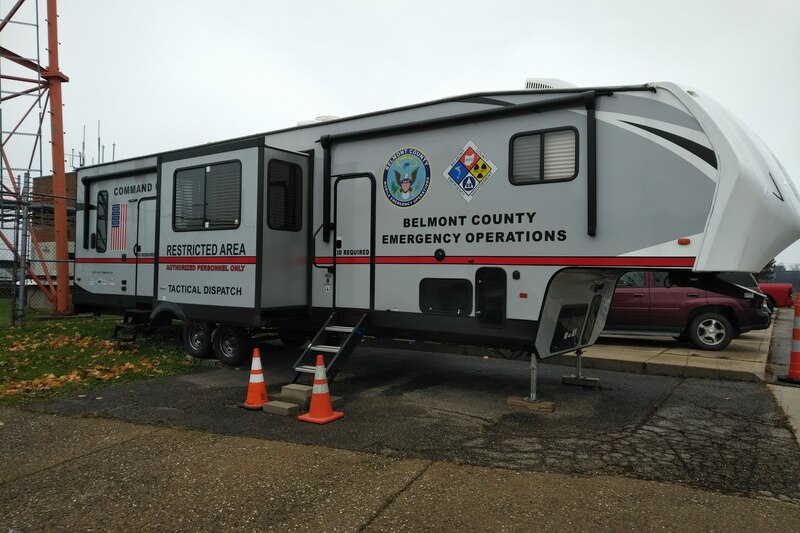 Matusic is based in Wheeling West Virginia, and covers the Appalachian division which spans Maryland, Virginia, Kentucky and Delaware. However, she primarily operates out of Ohio, Pennsylvania and West Virginia. Matusic oversees everything from community engagement, to media relations, to government affairs, to internal engagement and communications, social media for the region, and engagement with public or government officials. Investment in the communities they operate in extremely important to XTO and ExxonMobil, with the adopted philosophy of entering the community as an active participant. This takes the form of community advisory panels meeting quarterly to discuss areas of mutual interest among county commissioners, first responders, charitable organizations, educators, and service companies. Part of why Matusic thinks this way, is that Ohio has a history of extractive industries. 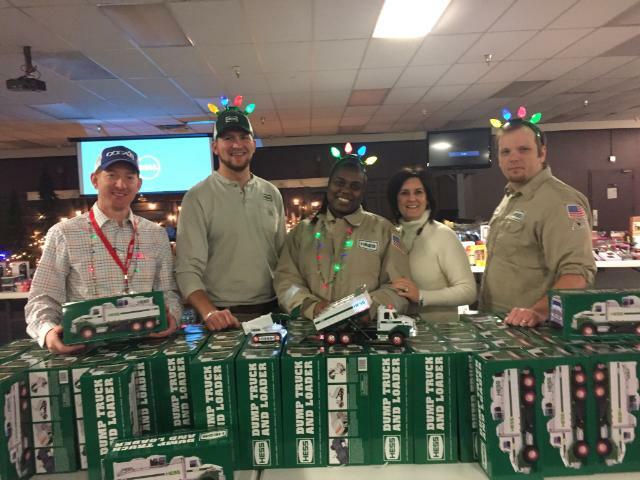 All of the employees at XTO live in the tri-state and most are from the area, so they have an appreciation for what’s important to the community. Another component of what goes into their approach to entering a new community is to never assume that they know everything, that why it’s so important for to engage, well before they start to drill. The greatest misconceptions among the tri-state area that Matusic runs into is that all of the counties and townships are the same and that they all operate similarly. This is definitely not the case and drives home the importance of the steps they take when entering a new community. Matusic describes what she thinks is a great attribute about the region, “I think here there is a community sense that they want to industry to do well, because that means the community does well. There’s an appreciation that this industry is here to stay, and that we’re investing in the future. Great sense of community that we’re all in this together and want this to work, more some than some other areas. XTO and ExxonMobil are both advocates of trade association involvement and presenting a united front on issues of mutual importance. XTO has been a member of the Ohio Oil and Gas Association since it started operating in Ohio in 2010. They are also involved in numerous other state trade organizations, every big national organization, and every chamber of commerce where they have a drill bit. 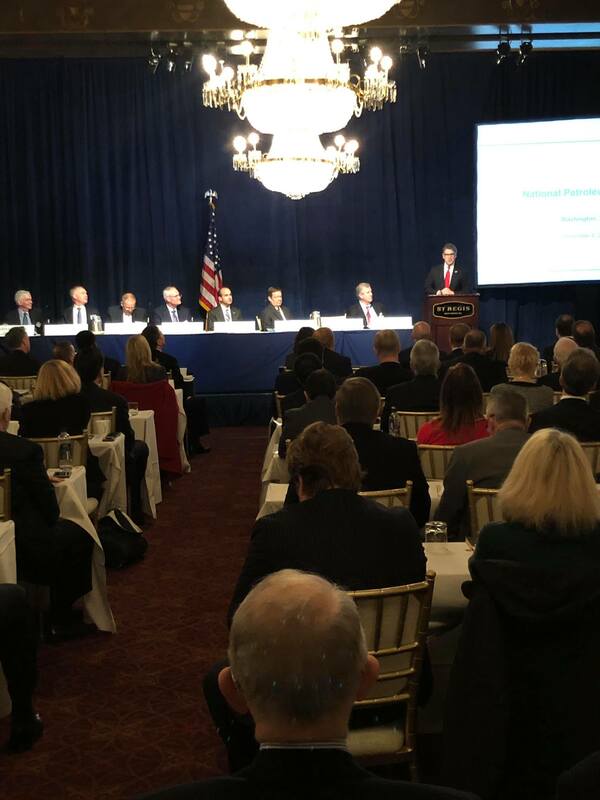 The camaraderie among the trade groups and the stakeholders is also extremely important in providing regulators, legislators and policymakers with a one stop shop for industry information. Matusic is a current OOGA Board of Trustees member and is actively involved on the communications committee. She truly feels forums of shared ideas among this group and talking about different ways of communicating is vitally important to this industry. It is really important that everyone is on the same page and that we provide good materials to the public and policy makers because it is not an easy industry to understand. At the end of the day, we all are in this together. 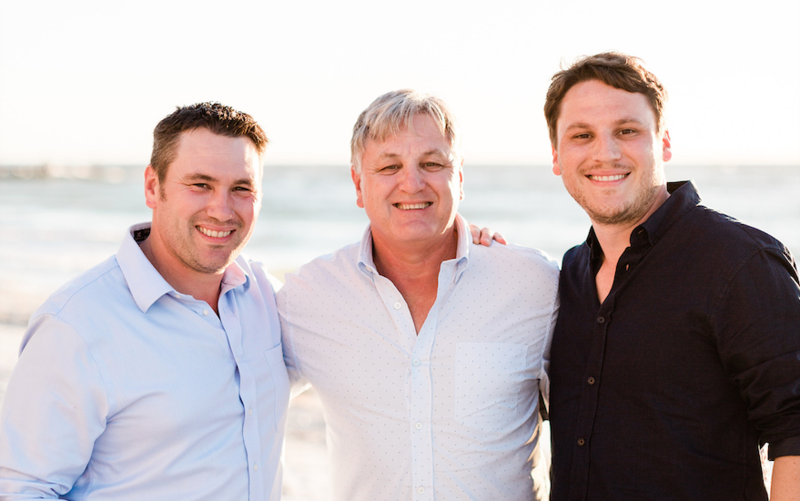 Member Spotlight: Tyler & Nate Levengood, Sound Energy Company, Inc.
Nate and Tyler Levengood grew up in a family owned oil and gas business in Dover, Ohio. Both brothers recalled times of being “cheap labor,” working for the business in any capacity that their father (Bruce Levengood) needed them. The brothers have fond memories of being woken up on weekends to work on a service rig or anything else that need done. Nate, who is six years older than Tyler, has a few more of these weekend experiences. In 1981, Bruce Levengood, along with his brothers formed Atwood Resources, Inc., which became their turnkey drilling company. In 1988, Atwood bought Park Ohio Industries’ wells; at the time prices were thought to be at the bottom which turned out not to be the case. In 1992, Atwood sold their controlling interest to Transfuel and the brothers amicably parted ways. Bruce took 100 of the old wells and started Sound Energy Company later that year. The company started as a sole proprietor and became Sound Energy Company, Inc. in 1994. When Nate and Tyler finished high school, both of them went to college to forge their own paths. Neither had any intentions of working in the oil and gas industry. Nate went to college at Ashland University and double majored in finance and economics. After working in finance for a brief period, it quickly became apparent that he did not like cubical life and the career path he was on. As he was finishing college, his perspective of how the oil and gas business functioned began to change. Tyler went to Ohio University’s business school and double majored in marketing and management information systems. He graduated in 2009 and went to work for an IT consulting firm in Cleveland. He then moved to take a position in Columbus working for Nationwide in its accounting department on the IT side. Later he ended up back in Cleveland to start a new position at Safe Guard Properties, still working in IT but with a focus on business intelligence, reporting data and analytics. This role is where Tyler started to really find his niche and it was his eye opener to analytics and using data to make decisions. It was shortly after this Tyler decided the time was right to return home and channel these skills into the family business. Sound Energy Company, Inc. still operates as a family business, with four full time employees. Everyone wears many hats to meet all of the business operational needs. Operating in 18 counties around eastern Ohio, its focus is mostly conventional Clinton wells. The fundamental business model is to have wells close to home that can be easily accessible within a matter of a few hours. Nate has been working there full-time since 2003 and with Tyler since 2015, when he started full-time. Nate has experience in land work and has focused his attention away from taking new leases, to working with what they have and acquiring new production—this has been a ramification of shale’s impact. In late 2013, Nate also put together a deal for expanding their focus, and now runs commercial disposal well operations in southeast Tuscarawas County. The Dennison Disposal side of the business is a large 24-hour, seven day a week facility with over ten employees, that Nate helps manage and oversee. Tyler describes his role as operations analyst, ranging from making sure all field issues are handled, communicating with contractors and pumpers, digesting field information from pumper reports and charts, and focusing attention to profitable parts of the field. He came back to the business at a time when commodity prices were dropping, which was a tough way to start and his first real taste of the day-to-day beginnings of the industry. Quickly after starting to work together, the two brothers were able to create a great synergy, with Nate managing overall business operations and Tyler utilizing and analyzing company data and bookkeeping. “When I was drowning in paper work getting Dennison Disposal up and running, Tyler’s experience with business analytics was able to query and organize all of this data, which exponentially cut down my time doing paperwork,” explained Nate. Tyler has also been able to apply these skills to all of Sound Energy’s administrative workings. The company owns about 480 producing wells, the record keeping and paperwork that goes with them consists of a tremendous amount of data. One of his primary projects after starting was getting a handle on this. He has helped Sound Energy Company utilize systems to streamline efficiencies, letting the data do the work, and making it much easier to resourcefully access all of this information. In 1992, Sound Energy Company started with 100 wells and their father Bruce was truly a one-man operator. The company drilled some wells over the years, becoming more oil oriented when the price of oil started rebounding in the mid 2000s. Most of what they have come from acquisitions, all conventional and some directional. Tyler described his father’s original business model as being, “if you get enough crumbs, you can make a cookie.” Both of the Levengood sons spoke admirably of their father’s entrepreneurial skills and strong work ethic in building the company. He managed and operated the wells, getting to know the fields and the areas he was working in everyday, which help him foster relationships and lead to numerous acquisition deals. The industry is ever changing, and both Nate and Tyler are watchful of gas futures, trying to make smart business decisions. They both feel fortunate to have a lot of experience working in the field that they’re in and finding new efficiencies to cut costs and do a lot of the work themselves. They hold a similar outlook for where the industry is headed, with short term consolidations continuing. Nate cited more stringent regulatory policies being a major driver for pushing legacy operators with personal stakes in their operations to divest their business. For a long-term forecast, they are both optimistic for what the future holds and think there could come a time when larger operators divest non-critical fields, which could bring new opportunities and people back to the industry. Nate cited his first involvement with the Ohio Oil & Gas Association was in 2002 when his father brought him to the Annual Meeting while he was still in college. Reflecting on changes over the years, Nate noted how the Annual Meeting was previously held in a small room, and now it hosts hundreds of attendees for a multiday event. It also stood out to him that at that time, he was the youngest person in the room with only one other person in his early twenties in attendance. There was a clear generational gap missing with a serious lack of young adults involved. Nate felt this time period was setting up for an interesting shift to shortly follow, almost a changing of the guards. Nate and Tyler both became involved with the OOGA when they returned to the industry and Sound Energy Company, Inc. full-time. Their father’s involvement has been influential, as Bruce been an active member since the early 1980s and is on track to become the Association’s president in 2021. Nate is now on the Board of Trustees and is the Region II committee chair. Tyler recently has also been increasing his involvement and has spearheaded the Region I & II golf outing the past two years. Becoming more involved has been a good learning experience to both of them as they see the importance of the Association and are continually feeling more inspired by everything the organization is doing for the industry. They both especially see this on a legislative and policy front and feel that OOGA really takes care of successfully advocating for the industry, in whatever undertaking it become involved with. 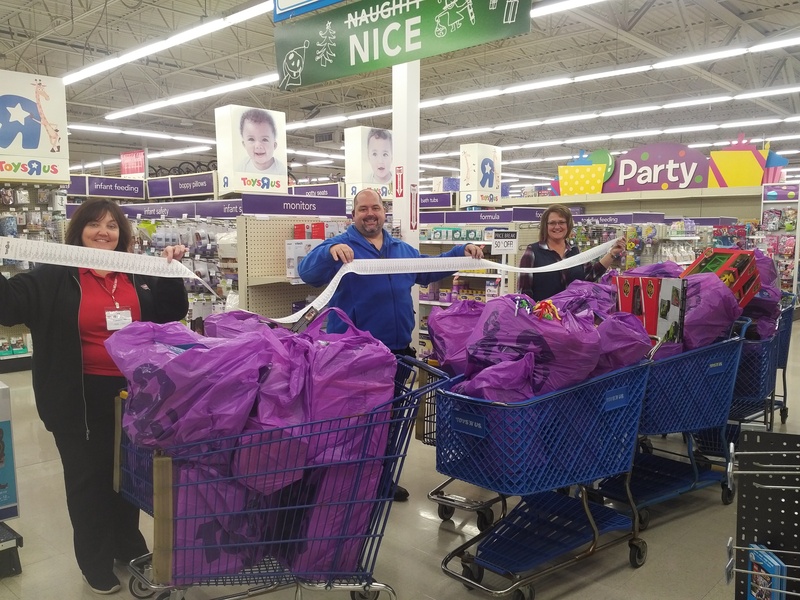 As many of you have seen, over the last five years, your Association closes out the year during the holiday season by partnering with the Toys for Tots Foundation to bring some much-needed joy to families in need. When the Communications Committee got fired up again this year, one of the first items we discussed was what can we do during the first part of the year to build on that success and partner with the communities we all operate in. While we kicked around several really good, solid and fun ideas, we landed on a food pantry drive. For those unfamiliar with this process, there are several food banks in Ohio that buy food at discounted prices from big box stores and then in turn pass it along to local community based food pantries. According to the Mid- Ohio Food bank, which serves southeast Ohio, they provide enough food to serve 140,000 meals a day! While that sounds like a lot…and it is, there are still families that are classified as “food insecure” meaning, they may not know where their next meal is coming from. 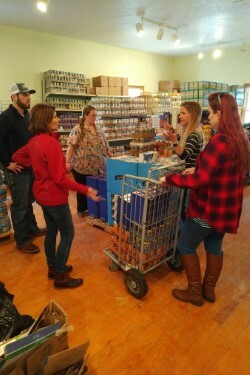 Our members Amanda Finn with Ascent Resources, Tracy Stevens with Dominion Energy, Katharine Denby with Hilcorp Energy, and Sheri Cramblit with Williams all jumped in to help sponsor a local food pantry in their operating areas, respectively including locations in Jefferson, Belmont, Columbiana and Harrison Counties. 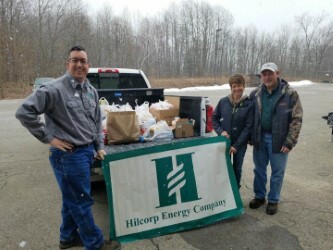 Through directly shopping at a local grocery store to collecting items with fellow employees, we teamed up to gather more than $2,000 worth of nonperishable goods to donate to the Epworth Center in Bethesda, 2nd Baptist Church in East Liverpool, Cadiz Food Pantry and the Smithfield Friends Church. While we can each do a charitable event by ourselves, when we team up and work together, the giving goes farther and the impact becomes greater. The Association is so thankful for the members who participated in this event and the other community based activities we pull together throughout the year, we could not do this without you and your giving hearts. Thank you. The Ohio Department of Natural Resources (ODNR) Division of Oil and Gas Resources Management is seeking oil and gas contractors to plug orphan wells. Companies interested in becoming a certified contractor must respond to the Ohio Department of Administrative Services’ (DAS) request for proposal and complete a certification process. Once a company becomes a certified contractor, a company may participate in a secondary offer process administered by the ODNR Division of Oil and Gas Resources Management. Contractors will receive scopes of work for new Orphan Well Program projects, which are released and awarded monthly. The Orphan Well Program’s projects are given terms of three, six or 12 months for completion and often contain multiple wells, providing contractors with prime opportunities to efficiently plug orphan wells. ODNR’s Orphan Well Program is on pace to offer projects to plug 173 wells during Fiscal Year 2019. Last year, the program encumbered $6 million in projects to plug 83 orphan wells. House Bill 225 became effective in September 2018, increasing the funding of the program, and created projected allocations of over $20 million for Fiscal Year 2020 and 2021. The ODNR Division of Oil and Gas Resources Management has identified more than 700 orphan wells across the state. This increase in funding and inventory of orphan wells create abundant opportunities for plugging contractors. ODNR’s Orphan Well Program was established in 1977 to plug abandoned oil and natural gas wells. If unaddressed, orphan wells may pose a significant threat to public safety, the environment, conservation of our natural resources and economic development. The program is funded by a percentage of the state’s severance tax on oil and natural gas production. To view previously offered Scopes of Work for the Orphan Well Program, visit: http://oilandgas.ohiodnr.gov/regulatory-sections/orphan-well-program/scope-of-work. For more information about the Orphan Well Program, contact the ODNR Division of Oil and Gas Resources Management at 614-265-6644 or email OrphanWellProgram@dnr.state.oh.us. Welcome to the new-look of the Ohio Oil and Gas Association. We have spent the past year developing a new website that is user-friendly, full of easy-to-find resources, updates our membership on what your Association is doing, and has a fresh, sharp modern look. The project of a new website evolved into a new logo and a full rebranding of the Ohio Oil and Gas Association. Our Association has a rich history, which must continue to be respected and honored. Today’s Ohio Oil and Gas Association undoubtedly has a different composition then from previous years. While the mission remains the same (to promote and defend Ohio’s oil and gas industry), the way we accomplish our mission and our organizational structure has evolved and must continue to do so. Aspects of the Association, such as logos and websites, must be evaluated and updated in an effort to continue to explain who we are and what we represent. Our logo hasn’t been updated in over 10 years and it didn’t properly reflect the current composition of today’s Association. The first thing I wanted to do was have a logo that stood out from the rest of the field. Most trade association logos are similar. Same color scheme and use of the organization’s acronym is standard across the board. But the Ohio Oil and Gas Association isn’t like most trade associations. We are unique compared to most of our peers across the country. We successfully represent and advocate for a diverse membership with at times different needs. Ultimately, we are one unified industry. The colors in our new logo are unique compared to other trade associations and gives our brand a distinct look. Developing a new logo with what has become the industry standard of blue and green didn’t seem like the right fit. While we kept a good portion of our logo blue, we incorporated a new color, that helps to represents all of the resources that are produced in Ohio, while also giving our logo a sharp look. The two-colored image also reflects the resources our members are producing in Ohio, a natural gas flame encompassing an oil drop within. Another focus of the new logo was to tell people exactly who we are, which should be a key function of any logo. Telling someone you are with the “Ohio Oil and Gas Association” can certainly feel like a mouthful, so most shorten it to “OOGA.” How you say “OOGA” is up to you and I’ve heard a multitude of variations. Our logo, and therefore our brand, shouldn’t be up for interpretation or force people to ask the correct way of saying it. It should tell people exactly who we are and what we represent. Using the Ohio Oil and Gas Association in our logo was an important change we wanted to emphasize. So how did a guy from West Virginia become the President of the Ohio Oil and Gas Association? It is a good question and I often wonder myself; but as I reflect on my years as a member of the Association, the Board of Trustees, the Executive Committee, and my career, I guess it is not that hard to figure out. I’ve had the great pleasure to work for several companies throughout my 30 years in the oil and gas business. From my time at Columbia Transmission, Triana Energy, Chesapeake Energy, and currently EnerVest Operating, which has allowed me to not only join but engage in several state Associations. Through that engagement, I’ve had the opportunity to meet and interact with some amazing people and have been lucky enough to be mentored by many of them. They may not have realized that they were mentoring me, but probably most leaders do not realize the effect they have on others because it just comes naturally to them. As I page through my OOGA directory and read the names of the Past Presidents and Hall of Fame members of the last many years, I count those leaders as my mentors. As they look at me, I’m sure they are thinking, “there goes the neighborhood!” With all kidding aside, what they taught me is to become engaged, express your opinion, and get involved in the Committees to make a difference. To that end, I’ve endeavored to do so. My first stint was co-chairing the Commerce Committee, then ultimately chairman wherein we worked through many issues affecting the Industry. From that, we conceived the Midstream Subcommittee, given the activity surrounding processing, fractionation, and pipeline construction. My simplistic view was that it would ultimately help us get our product to market and improve our netbacks, so it would be an offshoot of the Commerce Committee. Little did I know, this Subcommittee’s first charge was to draft legislation to fend off the onerous rules that regulatory agencies were trying to burden the midstream industry with and make the construction and operation of the facilities more difficult than necessary. Thereafter, it was ultimately decided that this facet of the Industry was so important that it needed to be separated as its own Committee. I take great pride in that! Through my work in the Committees, I was given the opportunity to become a member of the Executive Committee, ultimately leading to the Board electing me an officer; and for that, I thank you! So the answer to the question I earlier posed, is through Committee engagement. Being a Trustee is not a rite of passage nor a ceremonial appointment. It was a charge that was given to me by the Trustees that voted for me, and the mentors that shaped me, both of whom expect me to help carry the load. As we enter 2019, we will have a new Governor, Administration and new department heads that we must become acclimated to and contend with. The more things change, the more they stay the same, so expect many of the battles that have raged in the past to rage again along with new ones we probably haven’t even thought of yet. However, be assured that your Association will be at the forefront of the issues and working in unison with our members to craft a viable outcome for our Industry. To that end, I urge you to become involved in the Committees and be engaged so that your voice will be heard and you will be part of the solution. The Association is only as strong as its members and Committees, in order to succeed, we all have to be engaged. Please accept the challenge! 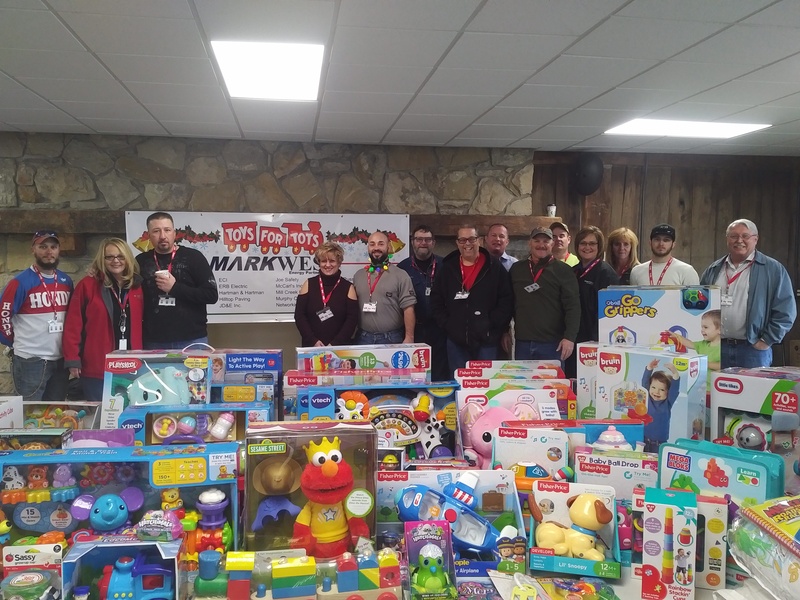 For the fifth year in a row Ohio’s oil and gas industry is partnering with the Toys for Tots Foundation to distribute toys throughout southeastern Ohio. 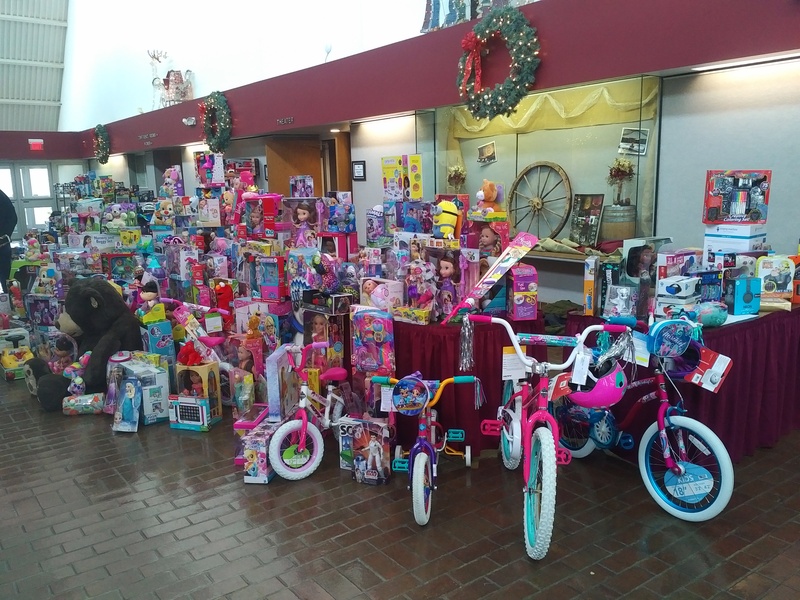 Many churches, social organizations, local businesses among others collect toys this time of year for the Foundation’s efforts, and the oil and gas industry is coming together with the Ohio Oil and Gas Association (OOGA) to coordinate the distribution of the toys to local families in need. OOGA’s members that are participating this year are MarkWest, Ascent Resources, EdgeMarc Energy, XTO Energy and Williams. Deadline to register is Friday, December 7th. James (Jim) Haas is second generation oil and gas. Haas grew up in Chagrin Falls, graduated high school from Notre Dame Cathedral Latin and received his bachelor’s degree from the University of Cincinnati business school. 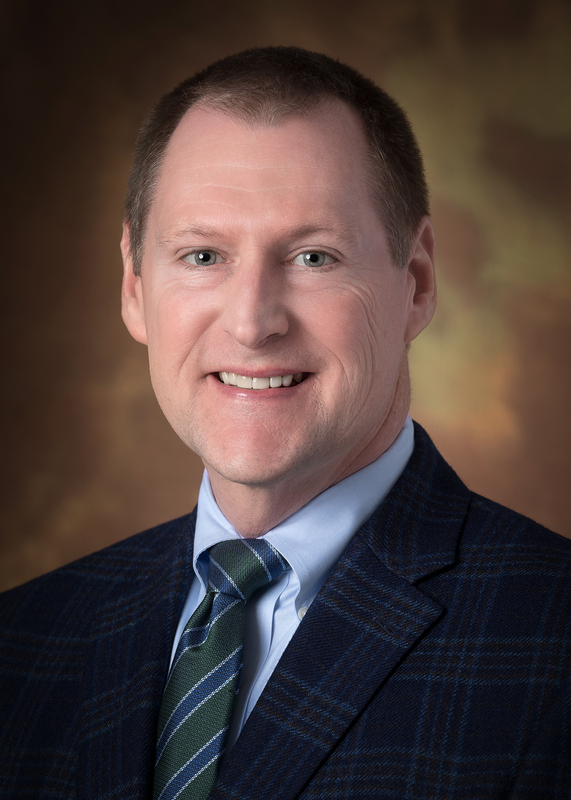 After forging a path in commercial real estate for the first decade of his career, Haas found his way back to the family oil and gas business, Reserve Energy Exploration Company. Right out of college, Haas started working for Developers Diversified Realty Trust (DDR) and was an early member of the Executive Training Program. Haas did this for five years, with the focus on developing large power center shopping centers throughout the country. He went from a role in a large public company to a small family business when he took an opportunity to work for a privately owned real estate developer in Cleveland. He remained in this role for nine years, wearing many hats and leading the development of smaller scale shopping centers, post offices and historical buildings. This all involved handling leasing with tenants, coordinating with contractors, government officials, historical tax credit buyers and lenders. Haas grew up around oil and gas, as his father, Joe, has been working in the business since 1973. Growing up his father emphasized the importance of having a strong work ethic by requiring all of the Haas children to have jobs. This was not just encouraged for money, but to gain an understanding of responsibility. In high school and throughout college, Haas started doing odd jobs, from painting tank batteries, to installing pipelines and working for Orwell Natural Gas one summer. The work he did for his father at this time was more technical, including doing courthouse research. When Haas graduated in 1996, the opportunity that existed in oil and gas in the Appalachian Basin looked very different than it does today. Having a college internship at DDR and a great job lined up out of school led Haas to commercial real estate. The skills that he built in this field would later be of great value as the shale play started taking off in our region in the late 2000s. In 2009, Haas decided to start working for his father. 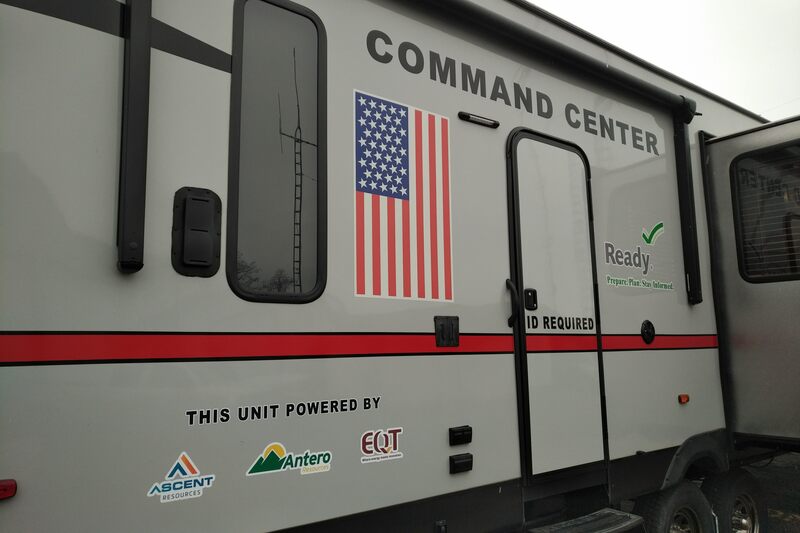 In 2001, Reserve Energy Exploration Company was founded by Joe Haas, based in Auburn Township, Geauga County. Joe had been in the oil and gas business nearly thirty years and previously worked for his brother and on ventures of his own. The company’s business model is to locate new reserves beginning with the development of a geological concept, reviewing historical data and using this experience to identify potential areas that may support oil and gas exploration. Upon completing the initial studies, a land team will research lease availability and infrastructure. Reserve will begin to acquire leases. The exploration team will then high grade the prospect with an in-depth subsurface study and geophysical studies that furthers the likelihood for a successful drilling program. Depending on the size of the program, Reserve will begin developing the project or, in the case of larger acreage plays (10,000+), seek an industry partner to jointly develop the prospect. Many times Reserve will continue to do land services after the prospect is in the development stage. At Reserve, Jim is the vice president of development and, being that it is a small family company, still wears many hats. Haas’ primary role is to look for new opportunities and execute on existing projects with industry partners. He truly believes that it’s a relationship-based business, with many repeat partners and some of the relationships stemming back to his father’s work in the industry multiple decades ago. Haas also works alongside his three siblings and says they all have characteristics that complement each other and the business well. Haas likes working in the energy industry because it is essential to our every day life and comforts along with providing an exciting opportunity to be entrepreneurial. Also growing up around the business draws people into it. He has seen the industry change tremendously because of the shale play over the last years. Ohio was traditionally groups of independent operators, conventional service companies and rigs. Haas has noticed this shift as larger groups came into the state to drill horizontal shale wells. This shift has had broader impacts on changes in land, leasing and royalty rates, changes in well costs and overall midstream capacity. Private equity has really energized the business with the money but changed the way people are viewing exploration. In Ohio, it is amazing how important midstream and take away is, with the quantity of gas being produced. Haas recounted his father instilling the importance of being involved with professional organizations since he was young. He attended his first OOGA Summer Meeting with his father when he was still in high school. As Haas has built his career over the years, his perspective on the importance of these groups has also evolved. Early on he saw professional organizations as a means of providing networking opportunities, but as he has become more involved with OOGA this notion has completely changed for him. In 2015, Haas was elected to the OOGA Board of Trustees and since then has gotten a glimpse of the broader impacts on the industry. It has been eye opening to Haas the level of proactivity that OOGA derives and its ability to emphasize the bigger picture and support the industry as a whole.